Starting 8/12, CVS is offering $5 ExtraBucks when you spend $15 on select products. 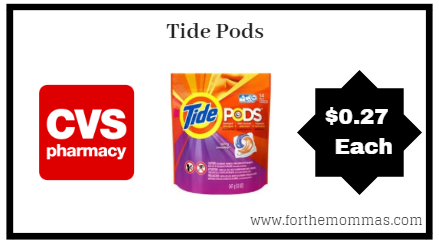 Included in this offer is Tide Pods which are on sale for $4.94. Pair this with an insert coupon to score three products for just $0.27 each!